The Los Eucaliptos team just finished their well this summer and is looking to go back for a monitoring trip this summer before closing out the community. Bolivia is one of only two landlocked countries in South America. It lies in the heart of the Andes and is bordered by the countries of Peru, Brazil, Paraguay, Argentina, and Chile. It is also the second poorest country in the western hemisphere. It is a very diverse country in culture and climate. In the south and east, it is a tropical environment while in the north and west, it is an alpine desert called the Altiplano.The life expectancy of the people is only 65 years old, and 1 in 14 children die of preventable illnesses before their fifth birthday. During the dry season, the residents of Los Eucaliptos struggle without a source of clean water nearby. Most residents must spend precious money and resources to purchase bottled water from the city. However, during Bolivia’s rainy season, heavy precipitation floods the community with water. This flooding forces waste water from septic tanks into homes and creates a breeding ground for harmful bacteria and mold. 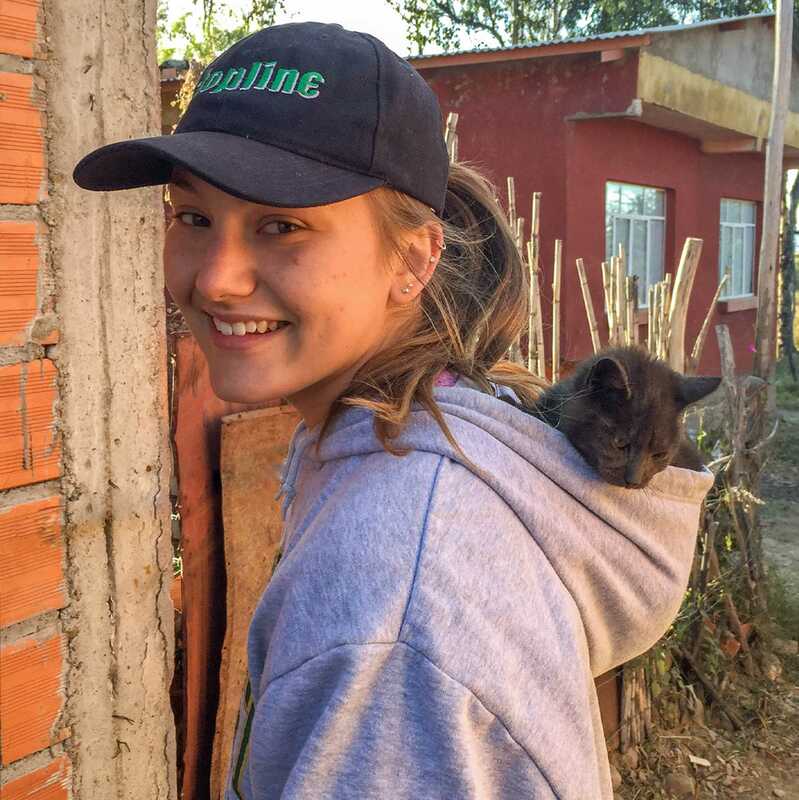 This summer the team returned to Los Eucaliptos to monitor all existing projects as well as visited a nearby community, Erquiz Oropeza, to perform an assessment of a potential partnership. 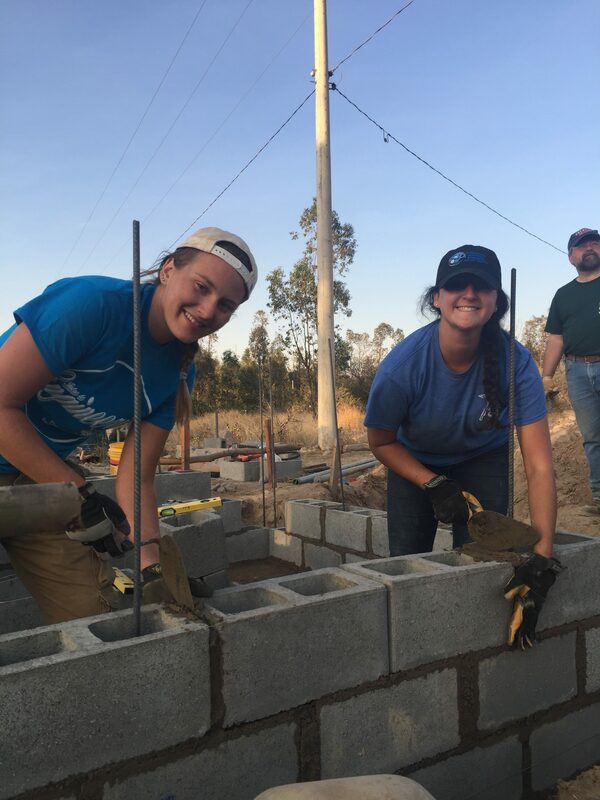 Everything previously installed in Los Eucaliptos is working as designed and all the homes with house connections have running water. EWB-S&T also talked to individual community members to see how the water has impacted their daily lives. Many community members commented about how they no longer spend long hours collecting water and are seeing little to no negative health problems due to the water. 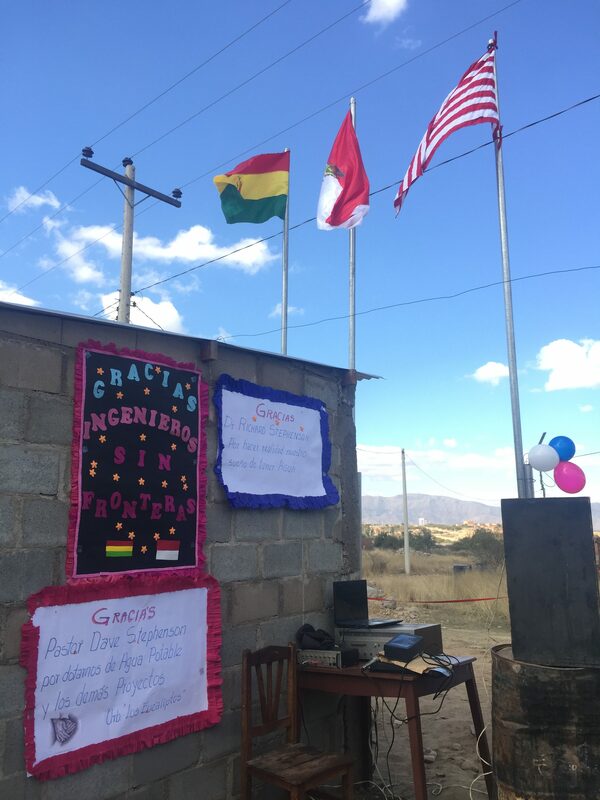 The team spent some time discussing shock chlorination and maintenance of the water system with the community before closing out the project and saying goodbye to all the friends made in Los Eucaliptos. In Los Eucaliptos we had a few projects to implement this summer, all working towards the common goal of providing potable water. The biggest task was the construction of the well house. The well house contains all of the electrical controls necessary to operate the system. It was completed with the considerable help of Celso, the community’s president and a mason, and other community members. There was existing galvanized steel pipe that we removed and rethreaded to go into the well house, through a pipe tree containing valves, and out by the well. To avoid possible contamination, we decided to install lot connections for each house in the community. This allows each community member to connect water to their house however they please without risking contamination to the system. The last project we started while in country was the fencing around the well house. After placing the posts and gate locations, the community knew how to finish the remaining work. Following the completion of our implementation projects, we inspected systems we had installed in previous years. We found that the houses suffering from up seepage had not experienced any more following the installation of a French Drain last summer. The distribution piping was in good condition and only required minimal repairs following saddle valve installations. Last summer, we had to patch leaks on the water storage tank. This year we didn’t find any issues with the tank. We placed a big emphasis on educating the community on all aspects of their system to ensure sustainability. The community had a heavy hand in the construction of the well house, which provides them with an excellent knowledge of how to maintain it. The community has an elected water committee to manage the system. The community’s electricity company, SETAR, installed electrical connections necessary to operate the well pump. With the implementation of these projects, as soon as the well pump is installed by COFADENA, the well drilling company, water will be flowing in Los Eucaliptos. The community has the necessary materials and knowledge of how to shock chlorinate their system after it is completed. 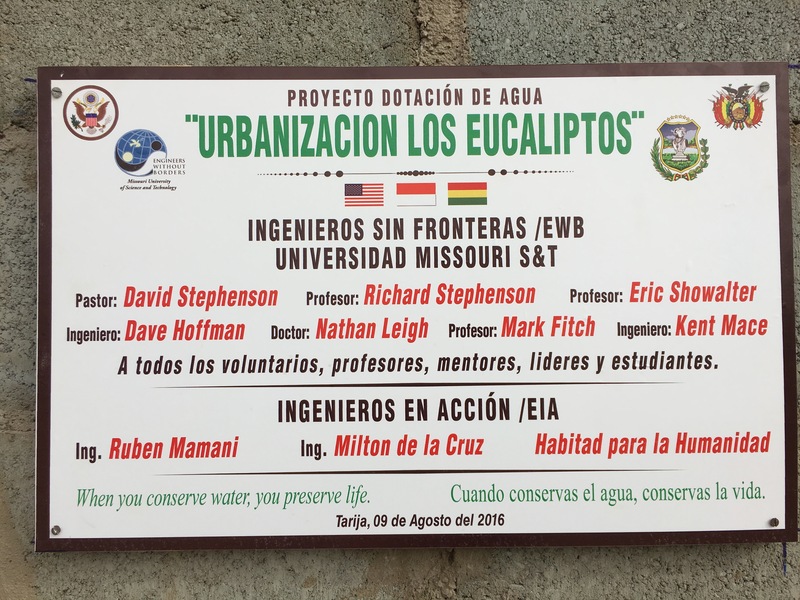 This will achieve the goal of our work in Los Eucaliptos and will provide the community with a potable water system and the knowledge of how to maintain it. 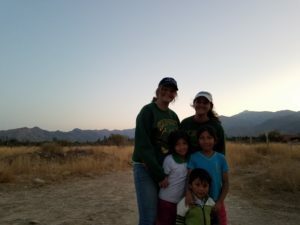 The EWB-S&T Los Eucaliptos team traveled to the community in the summer of 2013. 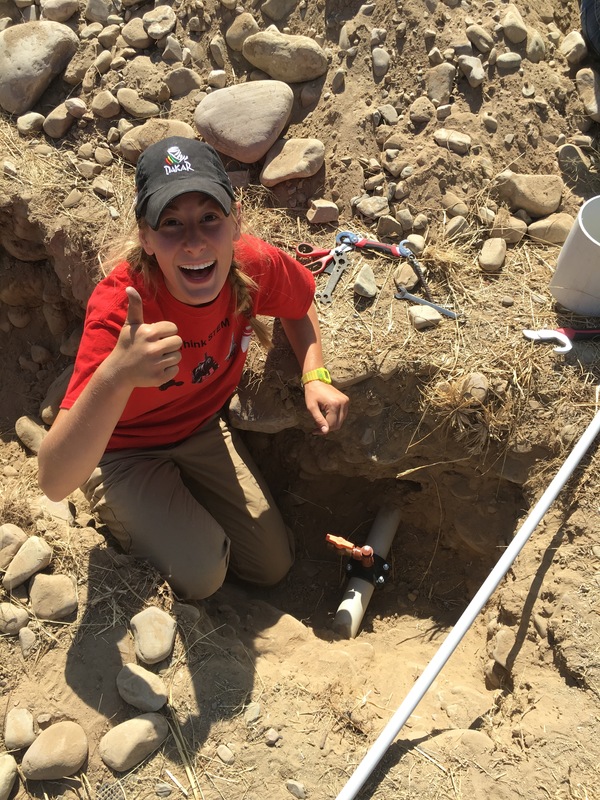 To facilitate the drilling of a well in the near future, students met with a well drilling contractor and laid pipe to the site of the prospective well. 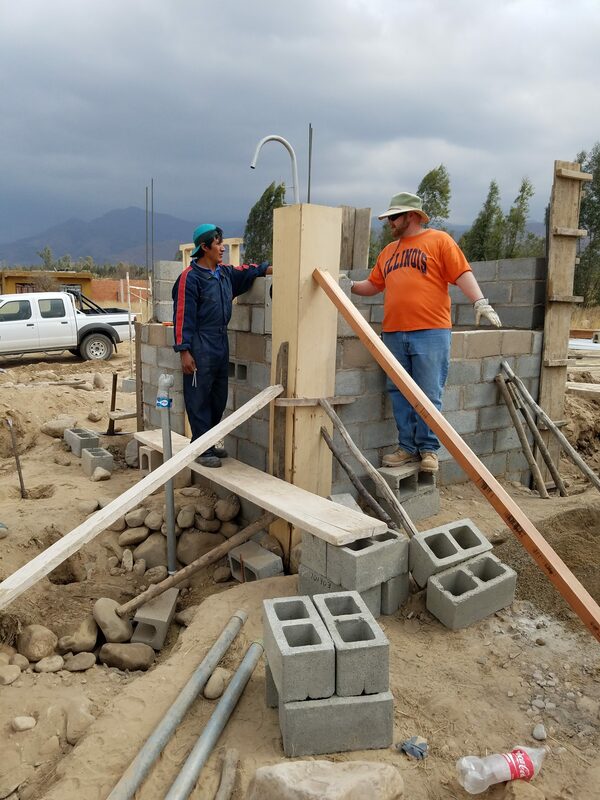 The water supply provided by this new well has potential to greatly improve the quality of life in the village since the people of Los Eucaliptos must buy bottled water to survive the dry season each year. The team is also working on the construction of a community center. On this trip the team assessed the prospective location of this new development. EWB-S&T has been traveling to Los Eucaliptos since 2008 and has, in turn, implemented various projects over the years. On this trip, the team monitored the previously implemented erosion and surface water control systems, verifying that all were still fully operational. In the future, the team plans to focus on implementing canals to solve flooding issues during the rainy season, building the community center, and installing a water purification system. 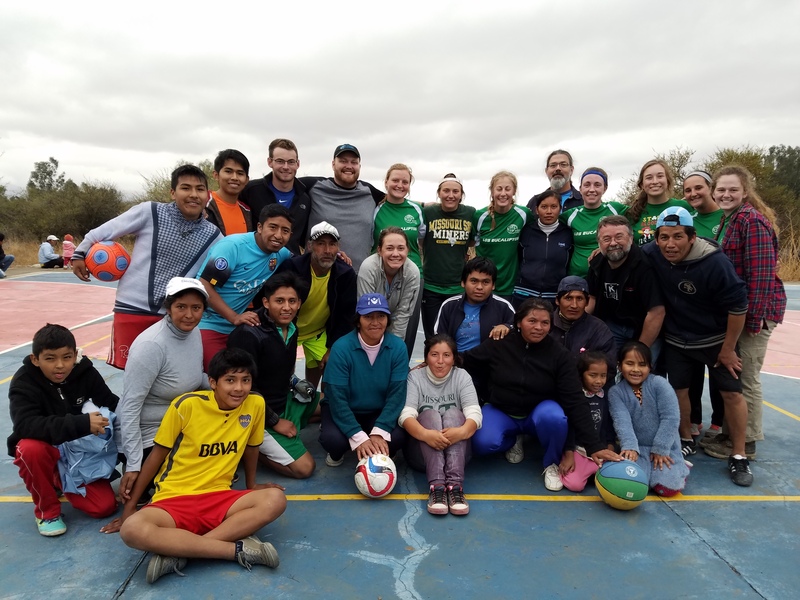 In May 2012, EWB-S&T traveled to Bolivia with 14 students, 1 faculty member, and 1 professional mentor to build two projects and assess one project. The team added on to the existing erosion control system. One gabion spur, consisting of 2x1x1 meter mesh baskets filled with large rocks, was extended downstream to prevent erosion of the community’s land. 200 feet of steel water pipe were added between the location of the well, and the water tank was installed. The surface water control, or flooding, team held meetings with the community and other stakeholders to approve the location of the proposed flooding channels, which are designed to prevent the existing flooding within the community. In addition, negotiations were held with two separate well drilling companies. Future projects will focus on implementation of the flooding canals to solve the flooding problem within the community and investigation into the possibility of a community center to address many of the community’s needs. In July 2011, EWB-Missouri S&T returned to Los Eucaliptos, Bolivia to implement a gabion system. The gabions purpose is to prevent erosion of the river bank alongside the community. The erosion was wearing away the bank where the water storage tank was built in May of 2009. 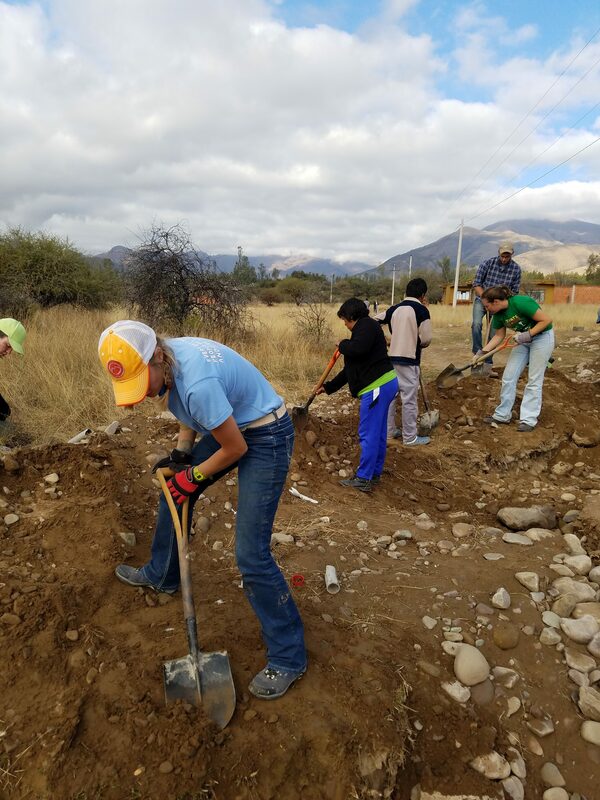 In addition, the team surveyed the land in and around the community to make topographic maps for future projects. The day prior to the team’s arrival, the community installed electrical meters donated by Deutsche Gesellschaft für Internationale Zusammenarbeit (GIZ) GmbH. The installation of electricity will power the planned well and will improve the quality of life for the community. EWB-Missouri S&T returned to Bolivia July 2010 with 9 students and 1 faculty member to build a water distribution system for Erquis Sud. This system consisted of two loops that can run independently or together making maintenance easy. This system was connected to the ferrocement tank built last summer. After the students left, drilling on an 80 meter well began. The well will be connected to the water distribution system as soon as it is drilled. Students also conducted health surveys to learn about the needs for future projects, health issues and education topics. A few students surveyed the riverbed to collect data for the gabion project. Overall, the implementation trip was very successful. 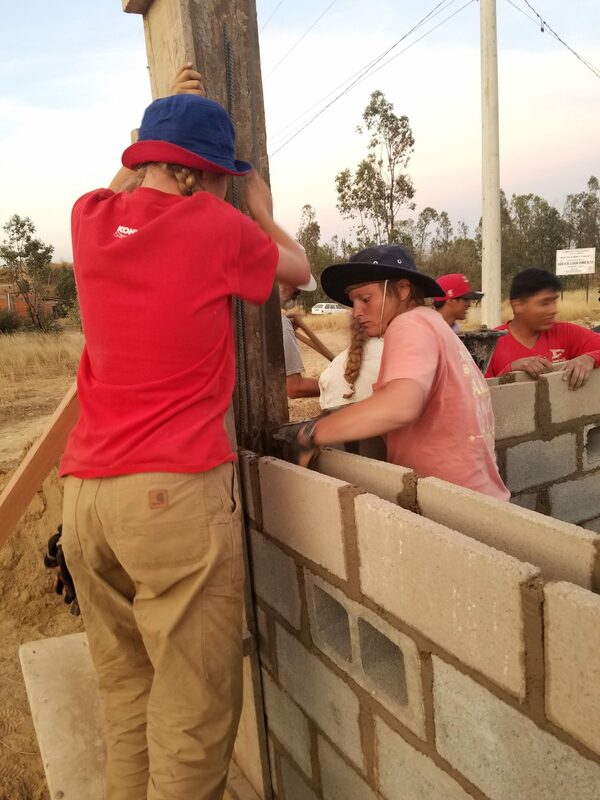 The students worked hard digging the distribution system, but they also had fun touring Tarija, Bolivia and playing with the children in the community. Here is a link to a video taken by a Bolivian TV network (it is in spanish though). EWB-Missouri S&T returned to southern Bolivia in May 2009 with 12 students and 1 faculty member to build a 5,000 gallon ferrocement for po-table water storage. In addition, EWB-Missouri S&T students met with the local electric company so that the water could potentially be pumped auto-matically up to the tank from the well that plans be drilled. Finally, the team educated the community on practices that could improve their health, as well as assessed future needs for electricity and wastewater treatment.